Being highly spirited is a type of temperament — an early form of personality that has biological and brain-based roots. 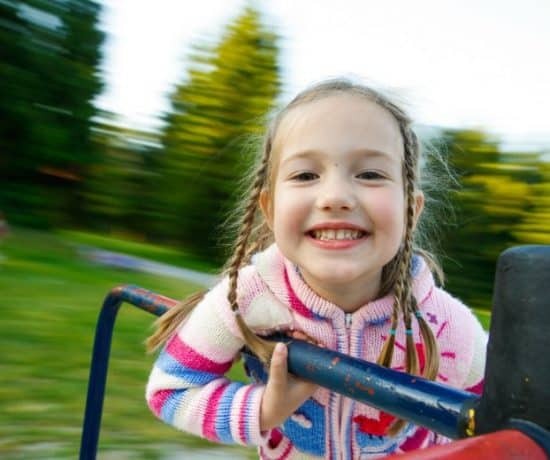 Kids who are highly spirited play harder, take more risks, show more intense emotions, are outgoing, joyful, enthusiastic, challenging, stubborn — I could go on! Developmental psychologists call this having an exuberant temperament. Children with exuberant temperaments can be more at risk for behavior problems not only in childhood but as adolescents as well — unless they develop good self- and emotional-regulation. The challenge for parents of highly spirited children is to help them learn how to manage their extra large emotions and personality. To teach them to stop and think before acting impulsively. They naturally have less caution and are less wary, so they are quick to jump into situations and react. This can cause problems for them socially and academically. 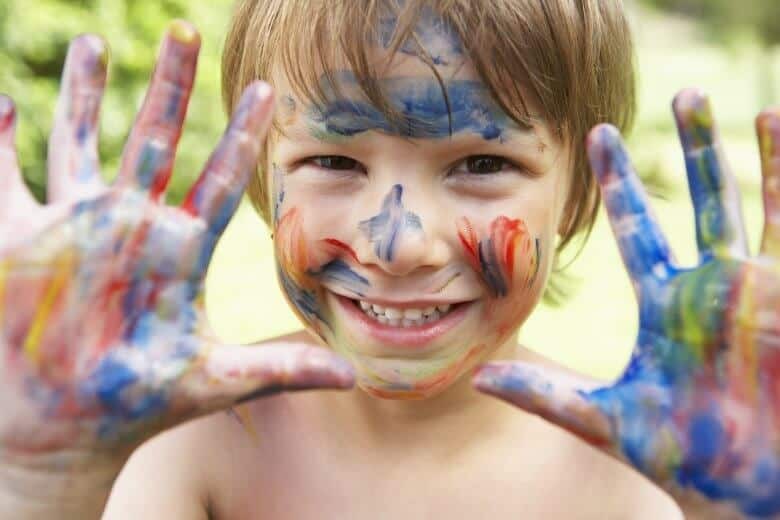 Playful strategies that teach regulation will naturally harness all of that natural enthusiasm exuberant children have. Making things into games and at the same time teaching real regulation strategies will help them develop the control they need without dampening their joyful spirits. The first thing I notice about exuberant kids is their energy level — it is high! Sometimes that over-zealous energy can lead to aggressive and out-of-control play. For example, an exuberant three-year-old may be so excited to try out a new playground they push through all the kids to get to the highest slide as fast as they possibly can. Once they get out some of the GO, then have them one onto the next step. Traffic Light Game: The best way to get this to work is to talk about traffic lights and play a traffic light game at home. Cut out green, yellow, and red circles. Practice going on green, slowing down on yellow, and stopping on red. I still use “Red light means stop” with my almost 6-year-old when he gets too far ahead of me — because it works. Go! Go! Go! Stop! 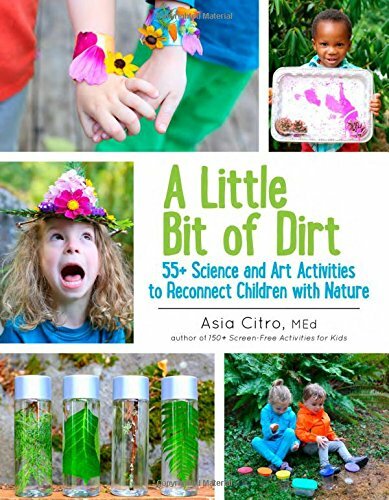 : I love using this book (Aff link) to introduce this concept as well. Little green and little red have to learn to work together to get just the right amount of go to get things done and build a bridge! It makes the concept of having “too much go” relatable and concrete to kids. 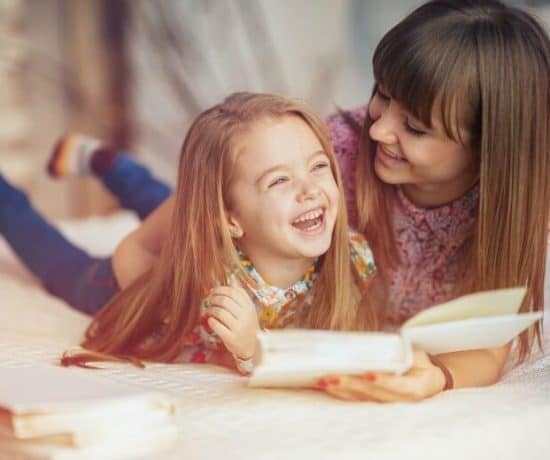 One thing kids don’t readily realize is that they are in control of their emotions and their behavior — that the behavior and emotions don’t control them. They also don’t naturally understand that behavior and emotions are both temporary and changeable and that behavior and emotions don’t define who they are. As parents, we can help our children develop a sense of a core-self. A self that has personality characteristics of being calm, curious, compassionate, confident, courageous, caring, and creative. Perhaps, most importantly, a self that is in-charge of emotions and behavior. Control Panel as Core Self: For my son who is really into machines and robots, I began to call his core-self his control panel. I said his control-panel is in his brain and that he is the only one in charge of that control panel and that he has the power to change his mood or his behavior. It worked. He flipped off his mad switch and flipped on his deep breathing switch. We talked about what had made him mad. In the book, Whole-Brain Child, (aff link) the authors talk about the upstairs brain and the downstairs brain. That analogy can work well for kids too. I talk more about how to use this strategy to manage anger here: Teach Your Child to Manage Anger. One thing I’ve noticed about exuberant kids that seems to go along with their outgoing nature is a lack of perspective for personal space. They seem to have zero need for personal space themselves so they easily and quickly get into the personal space of others. This is one of the main parts of their intensity — they are literally in your face. If they are interacting with a shyer child, this may cause them to be rejected and for the other child to be uncomfortable. The Comfort Bubble is an invisible bubble that everyone has. Some people have bigger bubbles than others. And the size of the bubble can change. At swim lessons everyone has a bigger bubble, because you can’t hold onto or hug friends in the pool or at the side of the pool. At school we have bigger comfort bubbles than we do at home. When you get too close to someone, you can break their bubble. That might make them upset. Remind your child about the comfort bubble next time they will be in a situation that they would need to use it. Then if you see your child change their behavior, talk about it with them afterward to reinforce the idea. I’ll never forget when my son remembered that one of the girls in his 4-year-old preschool class didn’t like to be hugged (and my son was a tackle hugger) and instead walked up and said hello and asked to hold her hand. She rewarded him with the biggest smile! Later, I pointed this out to him and said, “See what happened when you remembered Madeleine has a bigger comfort bubble? She was so happy and gave you such a big smile!” His response was a super big smile of his own. He had figured out how to connect with someone he really liked but who has a different energy from him. These skills are the building blocks for positive social relationships. Exuberant kids are playful and enthusiastic. But they are also strong-willed. They don’t like to be told what to do. In the toddlerhood and preschool years, this can make getting out the door, ready for bed, or anything else especially challenging. When my son was younger I would use a toy car during our bedtime or morning routines. I wouldn’t ask him to brush his teeth, the toy car would. This one simple change would gain enthusiastic cooperation from my son. Suddenly getting ready for bed was fun! Amazing how such a little thing can turn strong-willed non-compliance into enthusiasm to get the task done! For more examples of how to use a listening helper click here. I’ll say “create a masterpiece on your head” and he’ll say “brush my hair!” And then, miraculously, he does it! Did that make it better or worse? A great way to introduce this concept with the book What Were You Thinking? : Learning to Control Your Impulses (Executive Function) (Aff link). It is written for older children, but I think even a 5-year-old could benefit from reading this book. It is the story of Braden, a funny, exuberant boy who needs to learn impulse control. There are several relatable situations and it’s gratifying for children to see how Braden does learn some impulse control strategies. It seems like we spend a lot of time telling our exuberant kids to calm down, be quieter, and just relax. What if we did the opposite? What if instead of asking them to downregulate, we instead up-regulated ourselves? There’s quite a bit of antidotal evidence that this is helpful for high-energy kids in many situations. For example, when a parent comes home from work does your exuberant child act out of control? Next time try matching that excitement and do some roughhousing for 5 to 10 minutes and see if they calm down after that. Or even at bedtime sometimes kids need to release that pent up energy and frustration before they can relax and sleep. Whenever you child acts out of control, then join in for a few minutes. 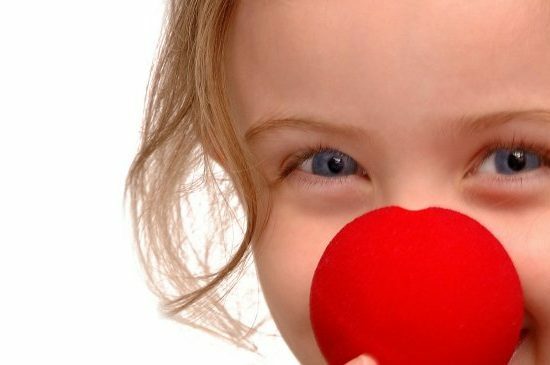 Get them laughing and releasing stress and big emotions through play. 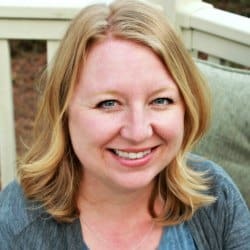 Ruth Atchley and colleagues have a theory that we are overtaxing the executive function part of our brain with the increased use of technology. All of those screens and all of that information places high demands on our attention system. 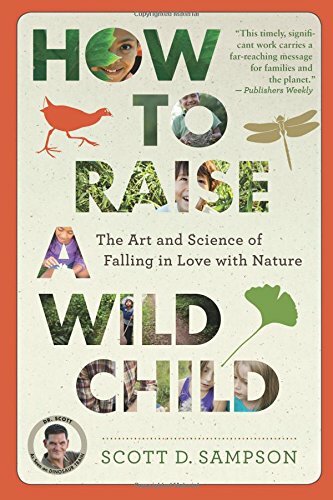 She theorizes that spending time in nature can help restore and replenish our exhausted prefrontal cortexes. She found that after four days immersed in nature (disconnected from media and technology) creativity and performance on a problem-solving task increased by 50%! 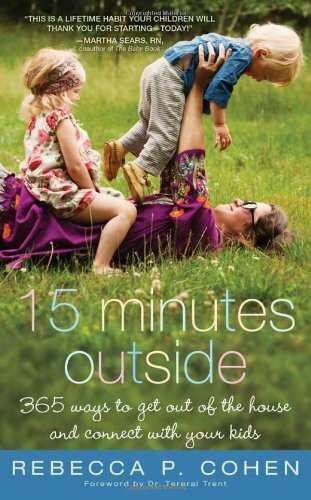 There is also evidence that spending time outside helps children with ADHD with impulse control: Four Benefits of Spending Time Outside. If your child is having an especially bad day and just can’t turn it around, try going outside. Better yet, schedule outside time throughout your days. 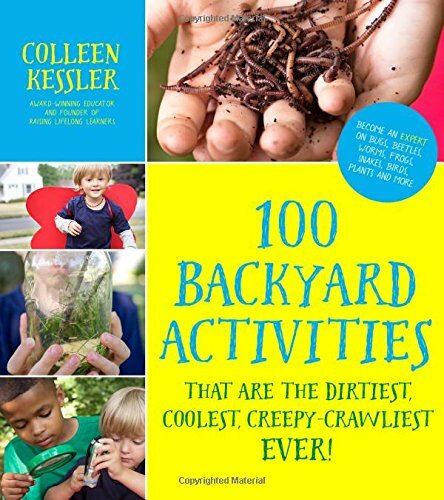 Here are my favorite books that make getting outside with your kids easy and fun!